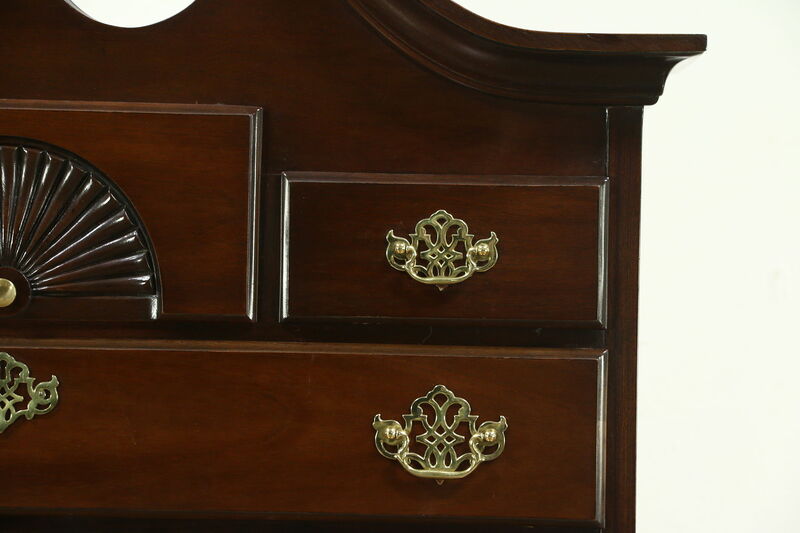 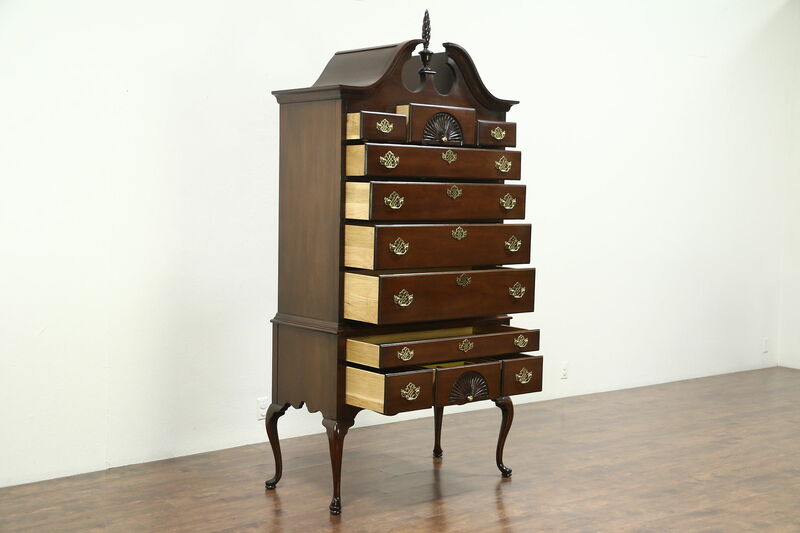 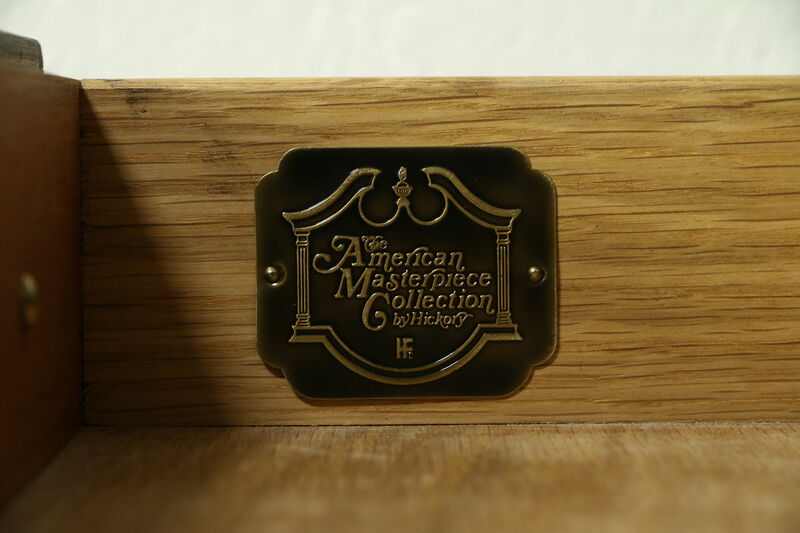 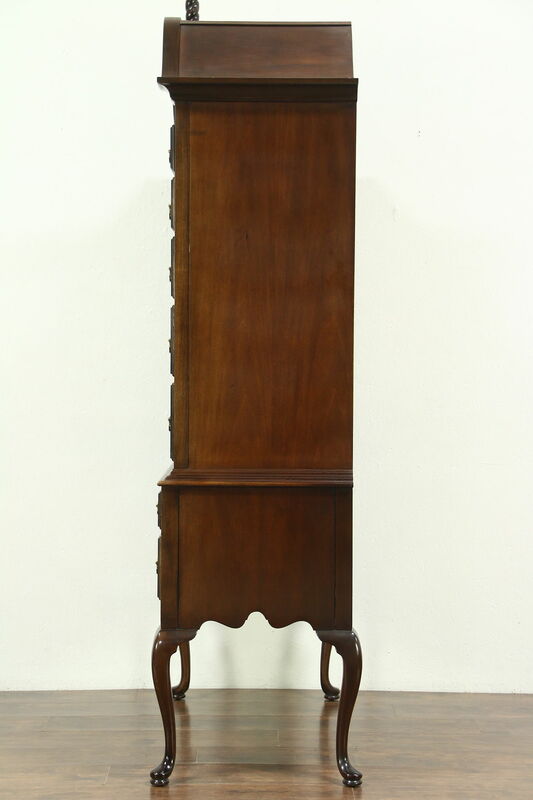 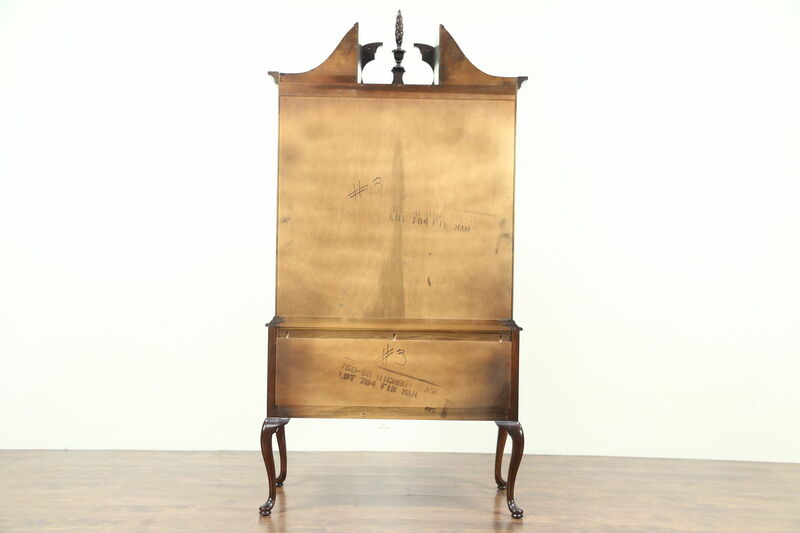 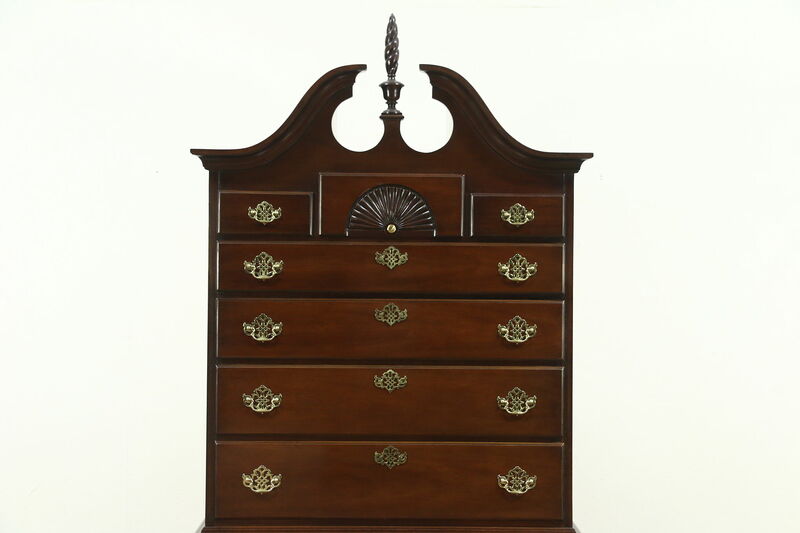 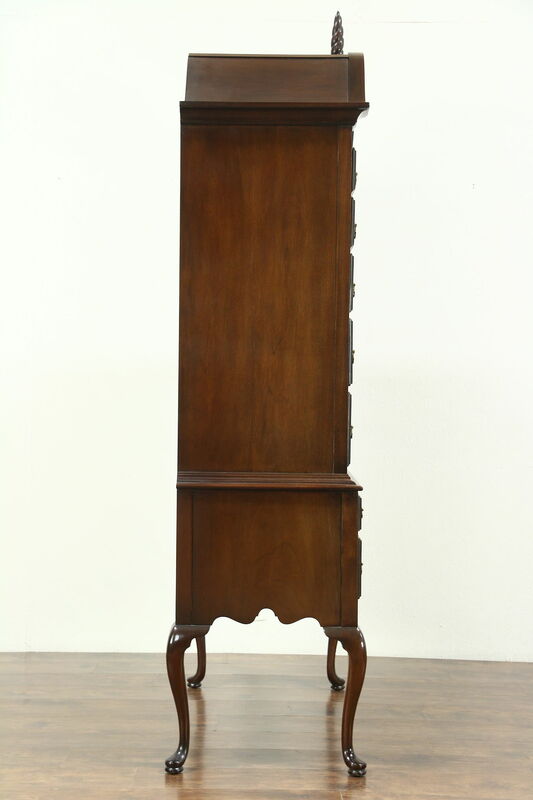 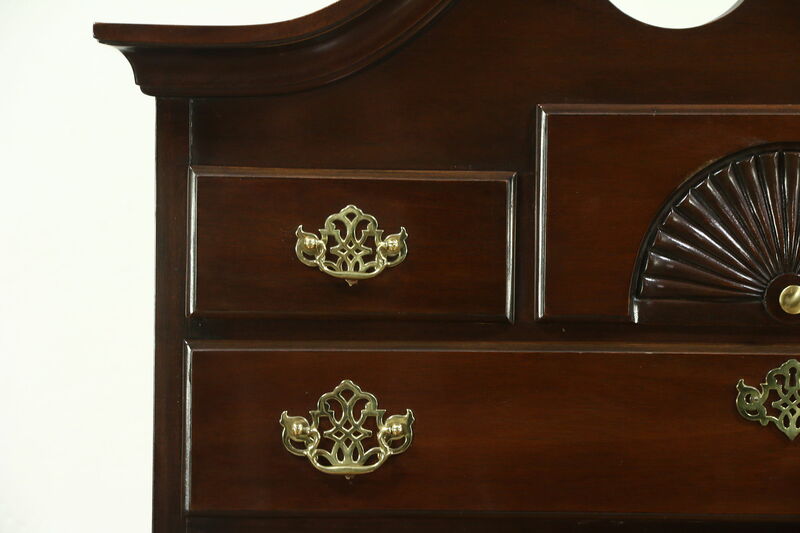 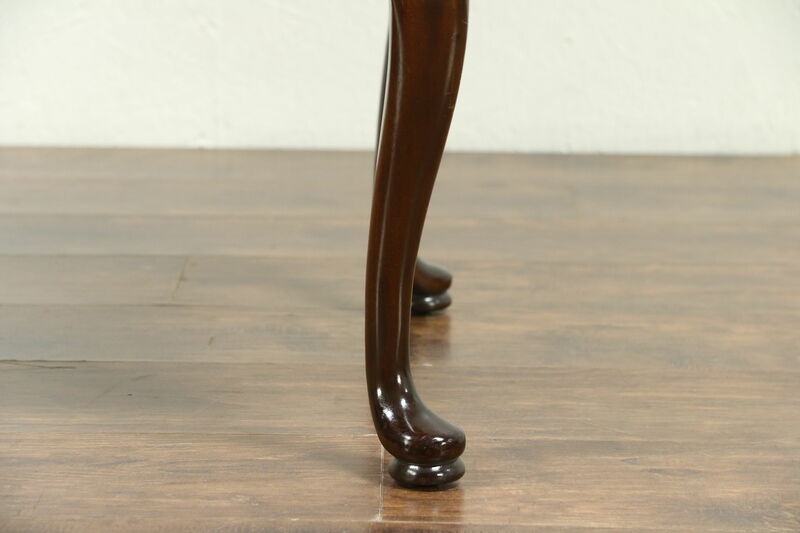 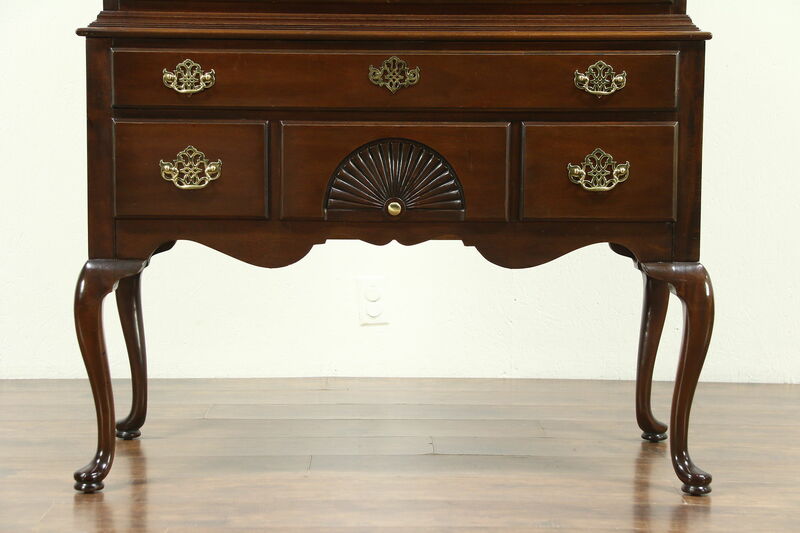 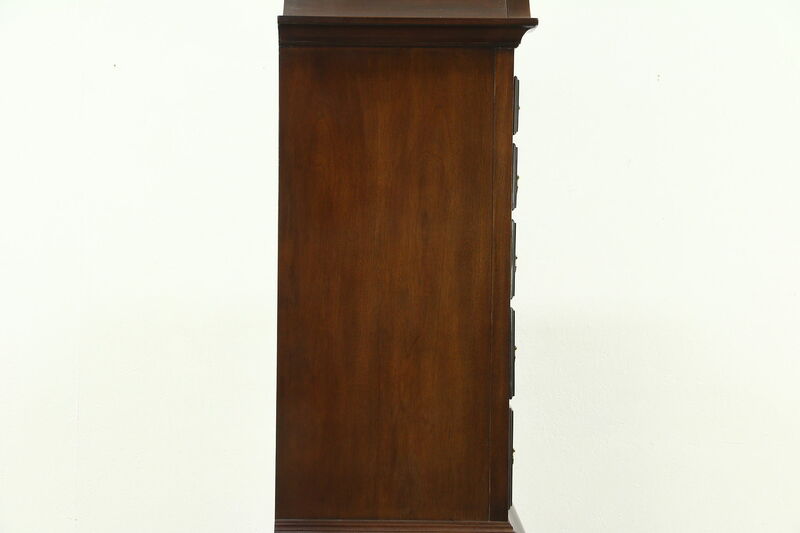 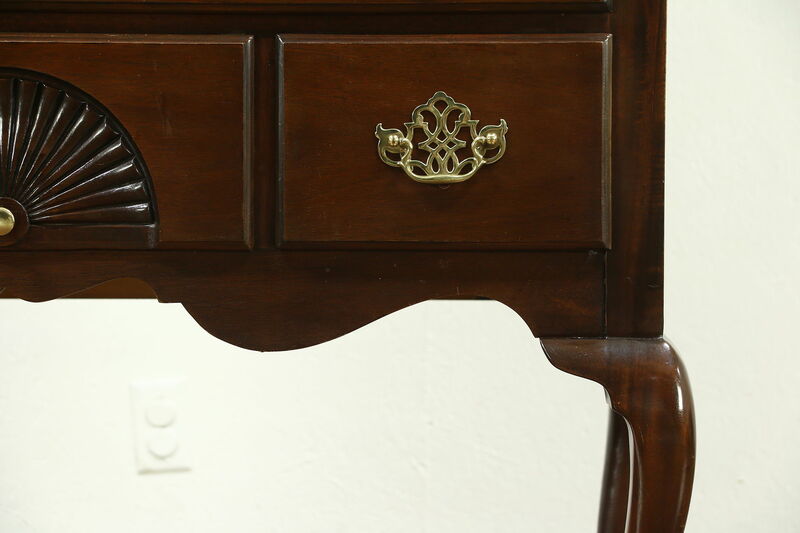 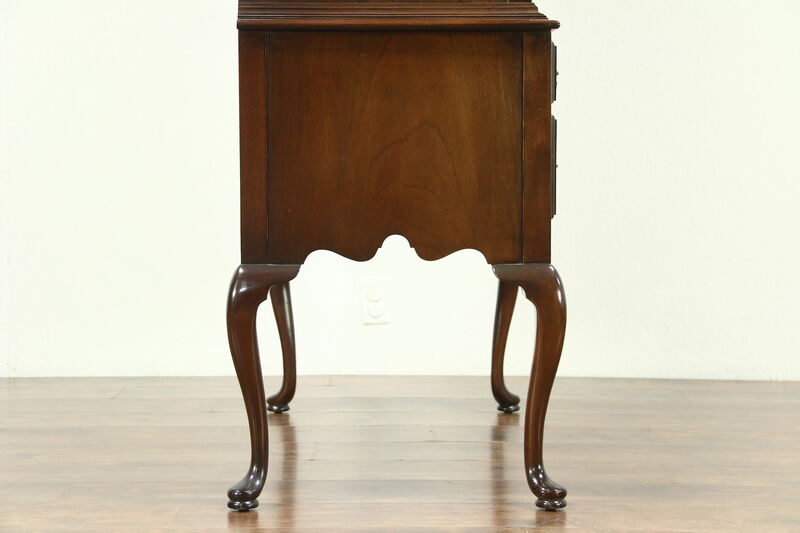 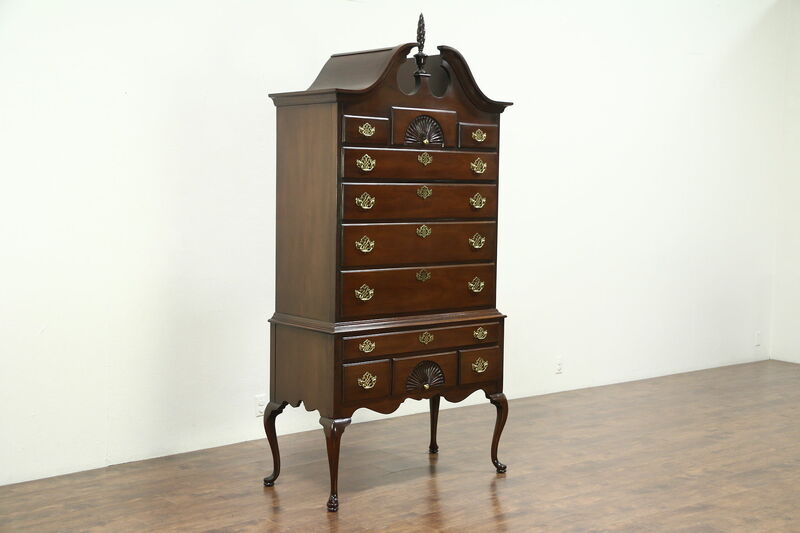 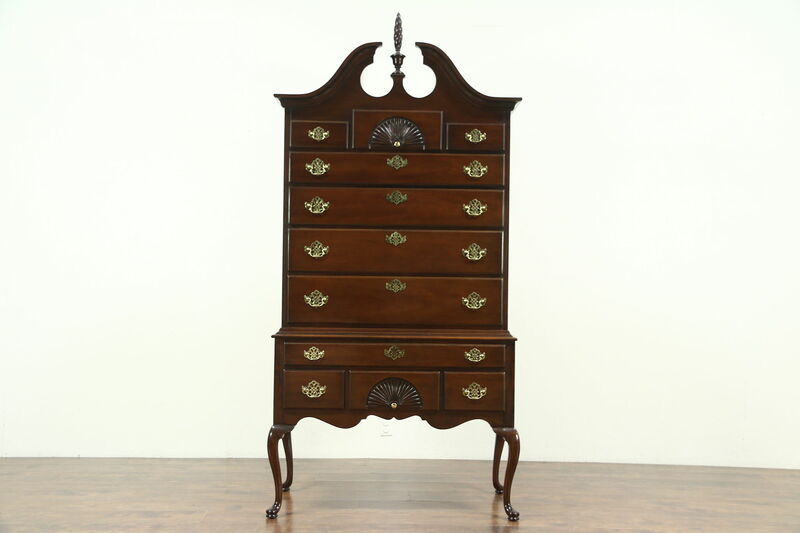 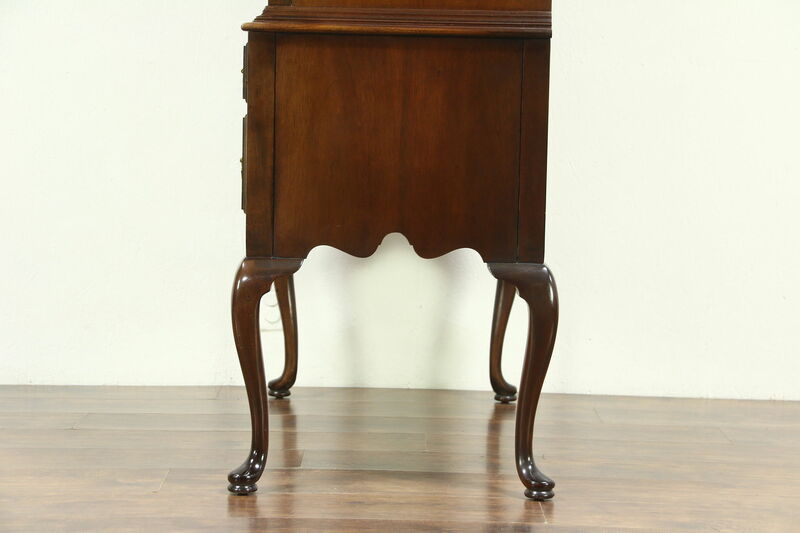 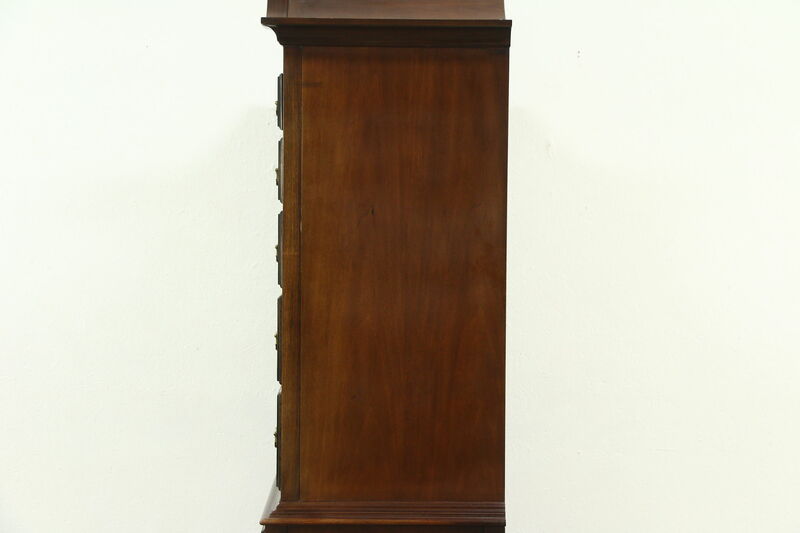 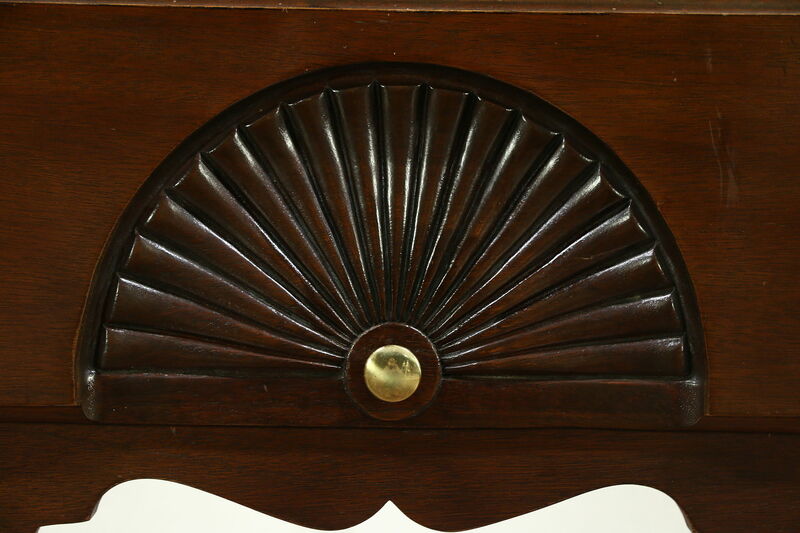 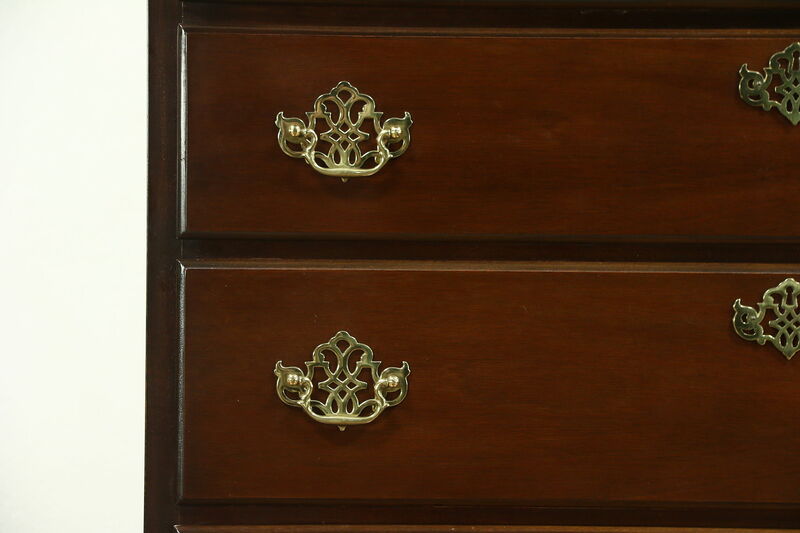 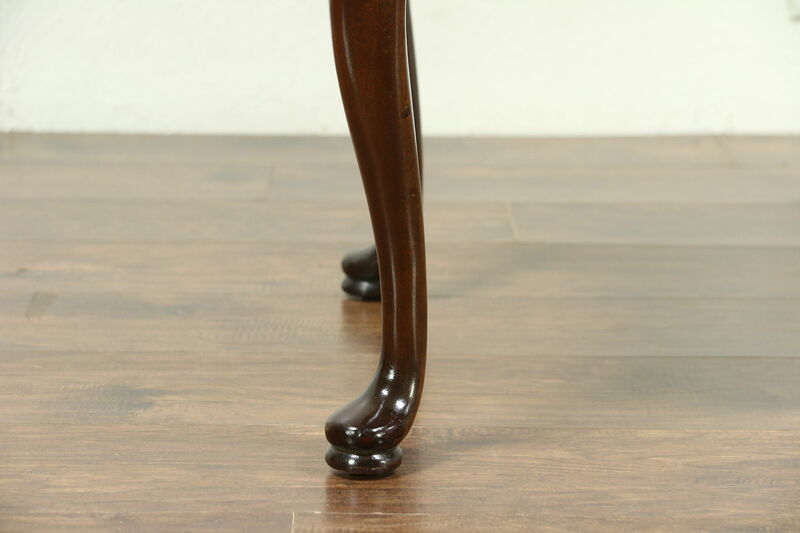 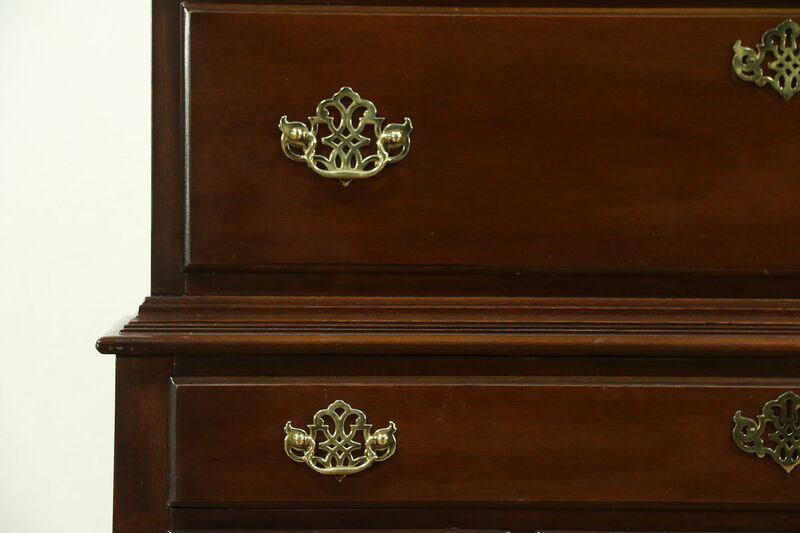 A traditional highboy or tall chest on chest from about 25 years ago is mahogany with a graceful pediment and flame shaped finial, signed "American Masterpiece Collection by Hickory." 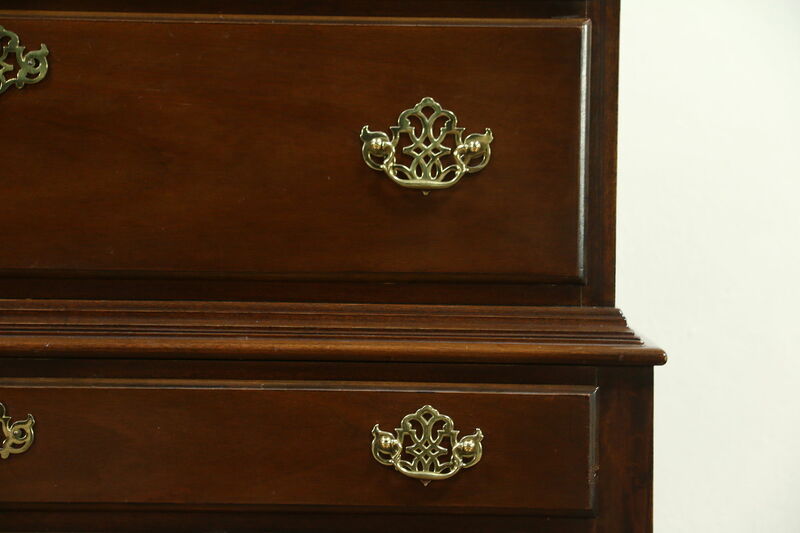 The original gleaming finish is in very fine condition with minor mars and touchups. 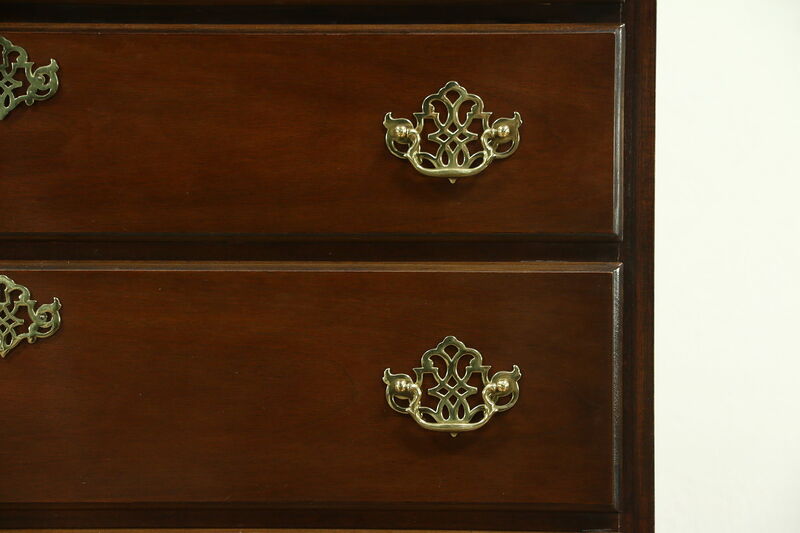 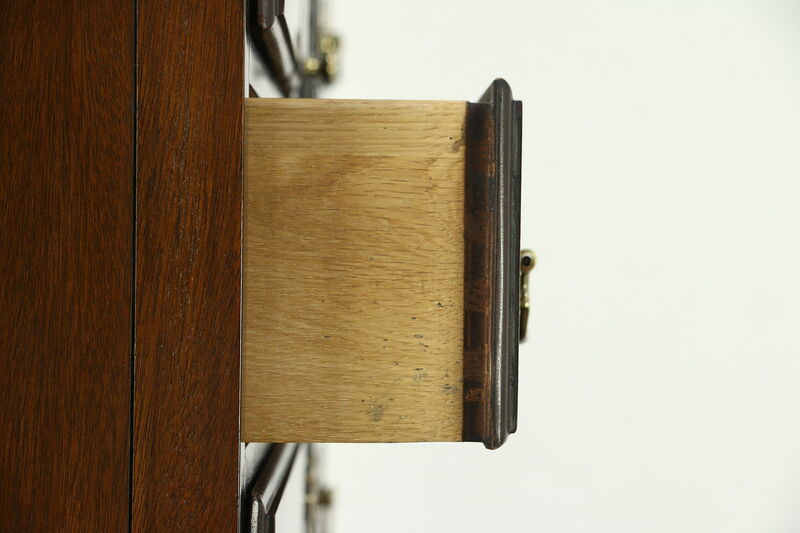 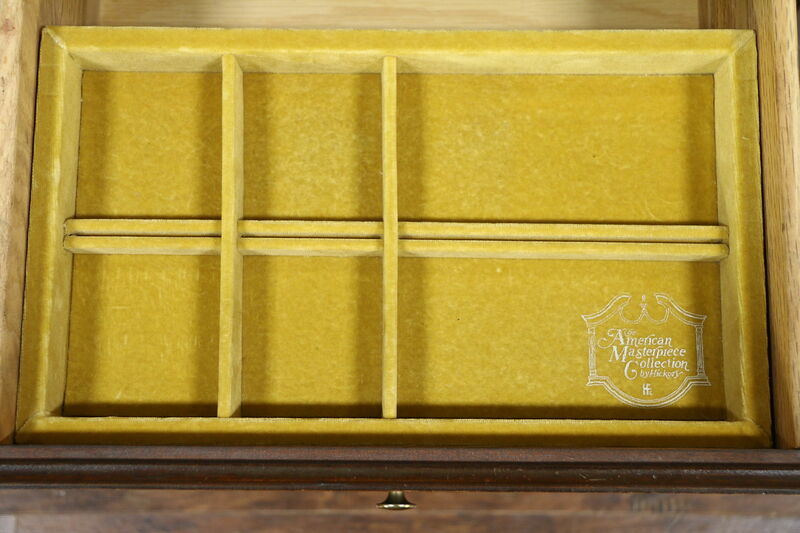 Drawers have solid oak dovetailed sides and heavy weight solid brass hardware. 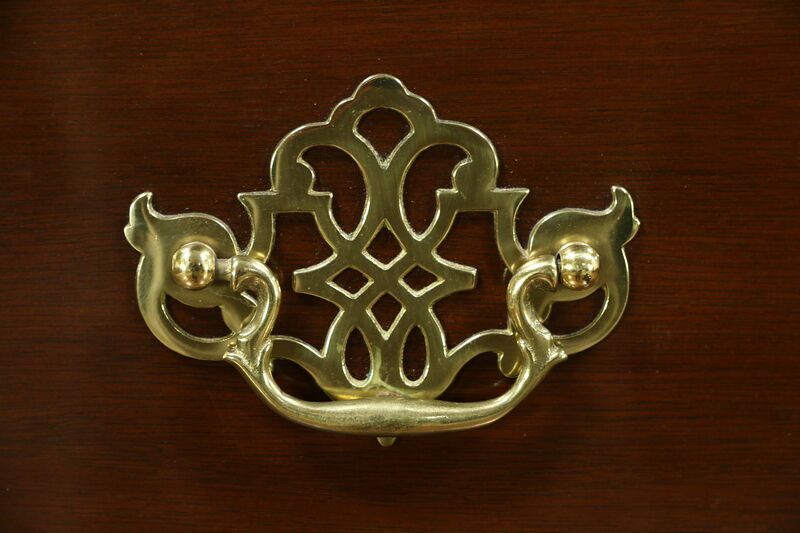 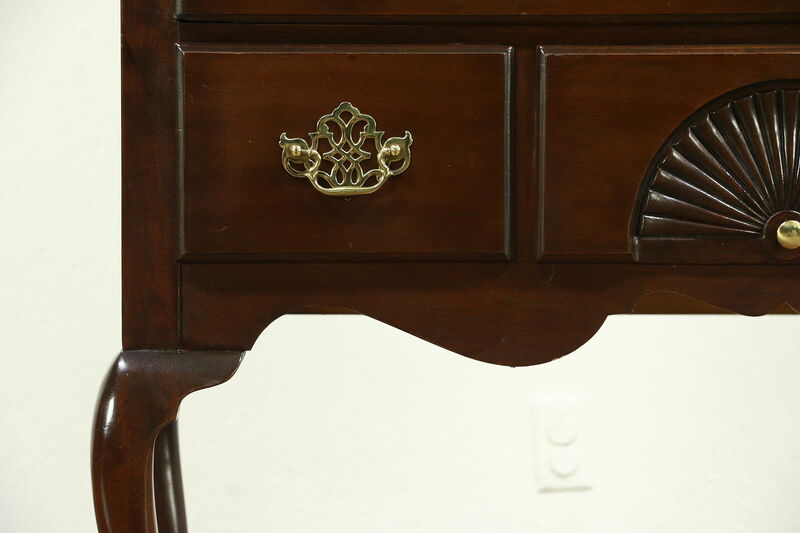 Classic carved shell motifs are beautiful. 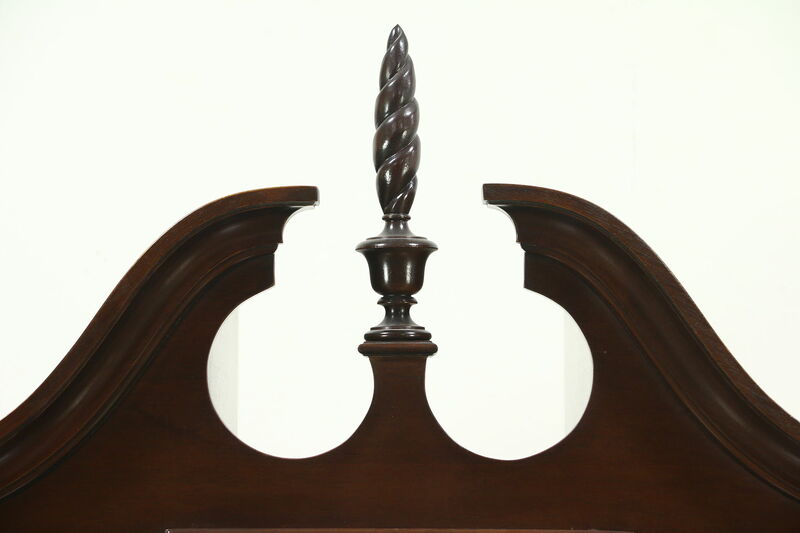 Dimensions are 42" wide at the crown, 20" deep and 86" tall.